Chestnuts are a must for all Forest Gardens. 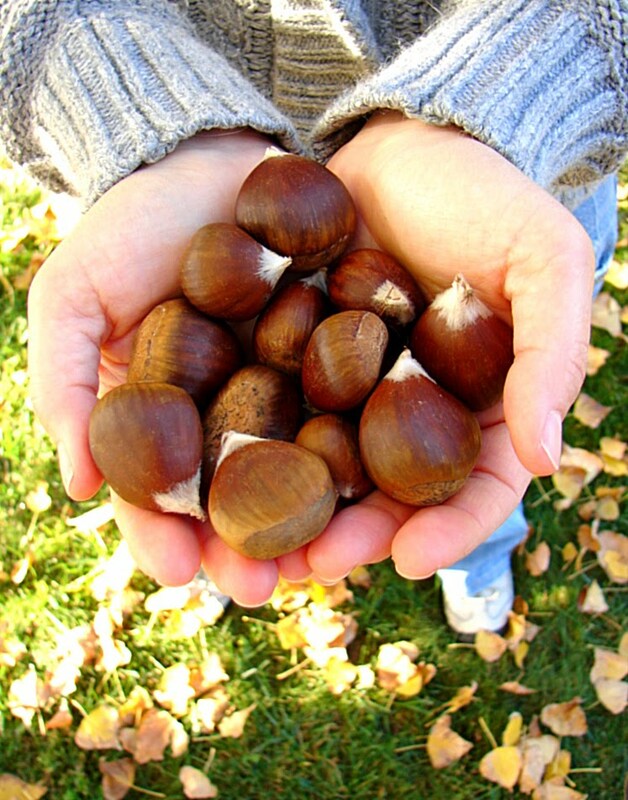 Chestnuts are a productive and relatively maintenance free plant. Most people familiar with Christmas music know “The Christmas Song” (commonly subtitled “Chestnuts Roasting on an Open Fire”), but few people in the U.S. have ever eaten roasted chestnuts. This is mainly due to the Chestnut Blight that wiped out almost all the American Chestnuts on the continent and removed this nut from the American food chain. However, through breeding programs with the blight resistant Asian Chestnuts, the chestnut is becoming more and more available in the U.S. again, but not many people are familiar with this great nut anymore. It’s a pity. They are a wonderful Fall and Winter treat. The only places I ever enjoyed these seasonal snacks have been from street vendors on the Asian and European continents! Besides their wonderful nut, the tree has many other uses in the Forest Garden. This will be a must have tree (or trees, most likely) in my garden. Chestnuts have been used around the world for timber, tools, crafts, firewood, and of course, food. There are many species, varieties, and hybrids available today. Chestnut Blight, a disease that killed almost every Chestnut in America. 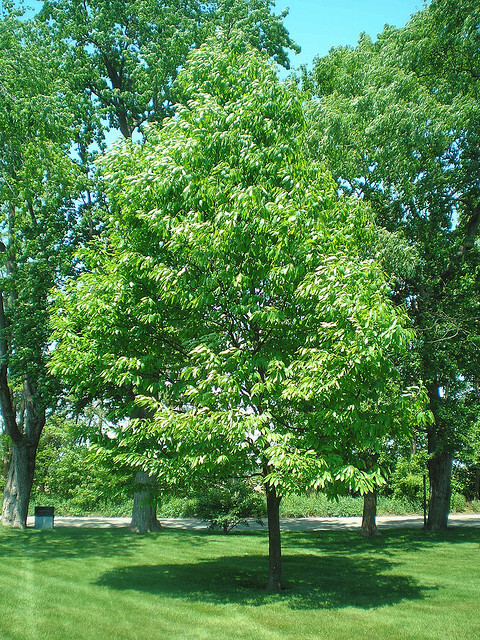 The American Chestnuts (Castanea dentata), native to eastern North America were once an important hardwood timber tree. This species is very susceptible to Chestnut Blight, a fungal disease caused byCryphonectria parasitica. Chestnut Blight invades the bark through any wound to the tree. 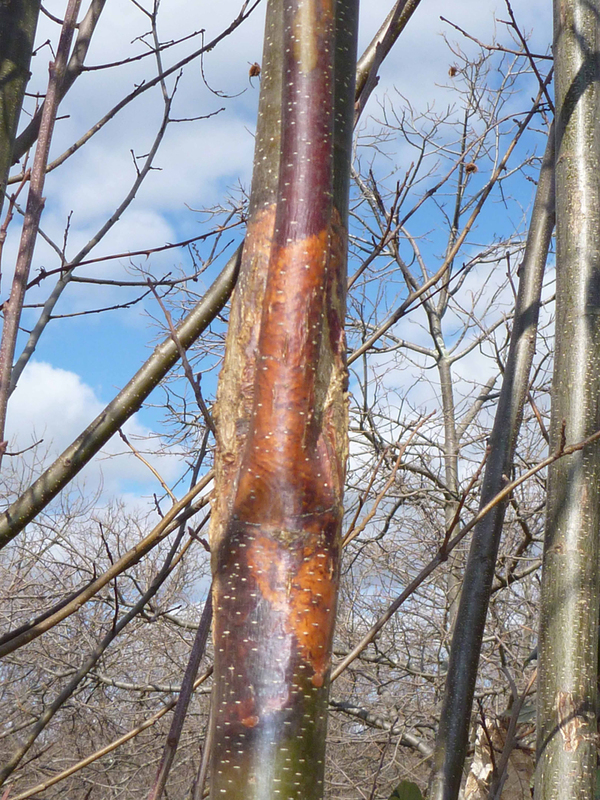 It will kill the cambium (a layer of tissue in the bark) in a circle all the way around the tree. This kills all living cells above the infection (a process known as girdling). The fungus was accidentally introduced to the U.S. in the early 1900’s from either Chinese or Japanese Chestnut seedlings or lumber; these species are not killed by this infection. 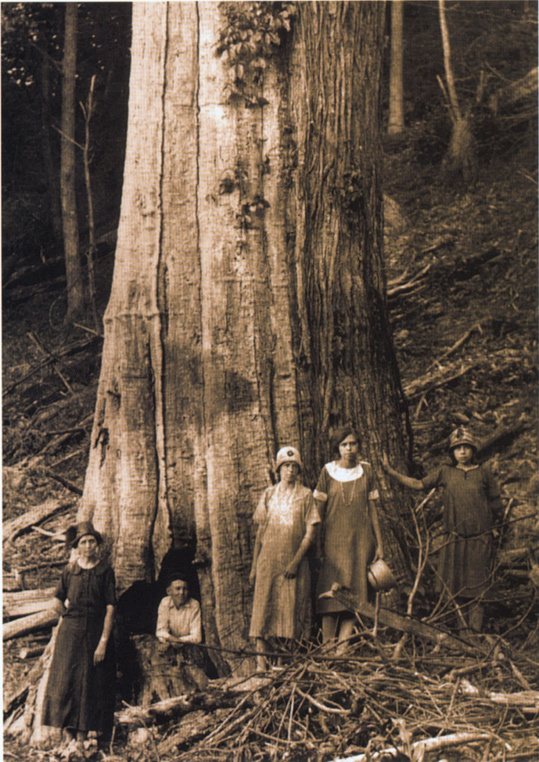 Within 40 years, almost the entire North American continent was devoid of American Chestnuts. 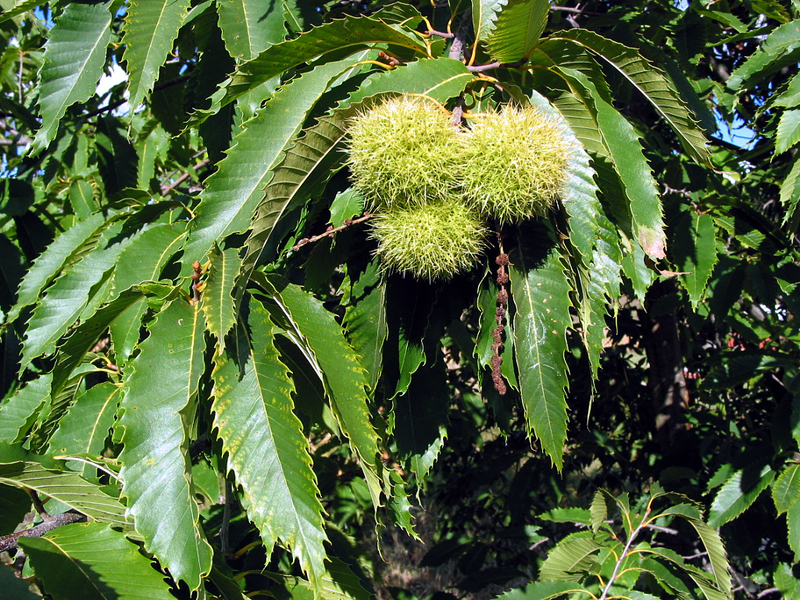 There have been many chestnut hybrids that have been created that are crosses of American Chestnuts and Asian Chestnuts. 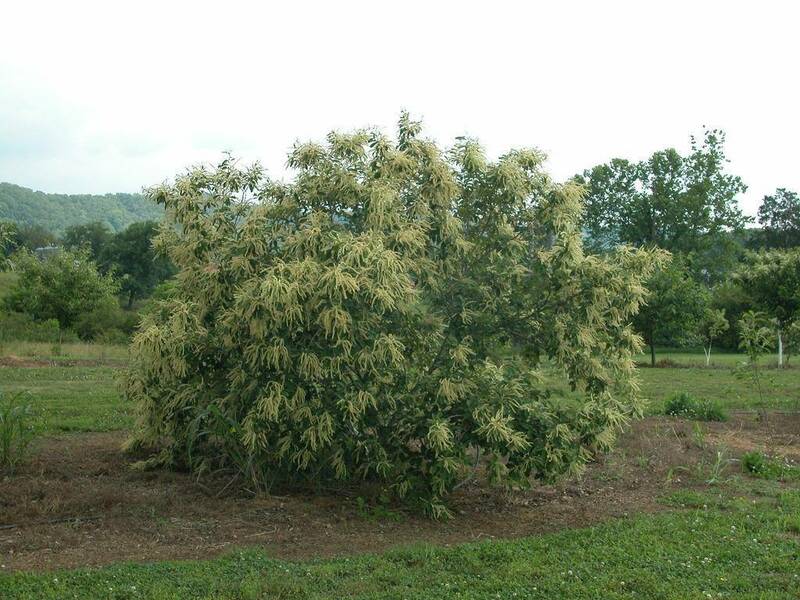 These trees and shrubs are typically significantly smaller than the true American Chestnuts, so they will not be used as a viable timber crop; however, many of them produce large, tasty nuts. This is good news to the homesteaders and forest gardeners. There are some American Chestnuts that have survived the blight. A few isolated stands remained on the West Coast where the fungus was never introduced. There is a large stand in Wisconsin, and in the last ten years or so, there have been a number of isolated trees found which avoided the infection. 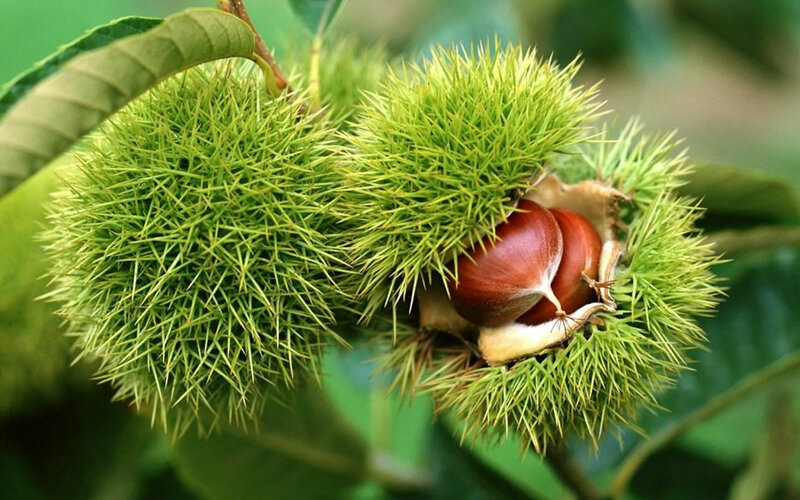 Scientists are attempting to breed resistant hybrid chestnuts to these plants to produce chestnut trees that will eventually be mostly American Chestnut (minimum of 15/16ths) – plants that are resistant to infection, produce good nuts, and grow tall. 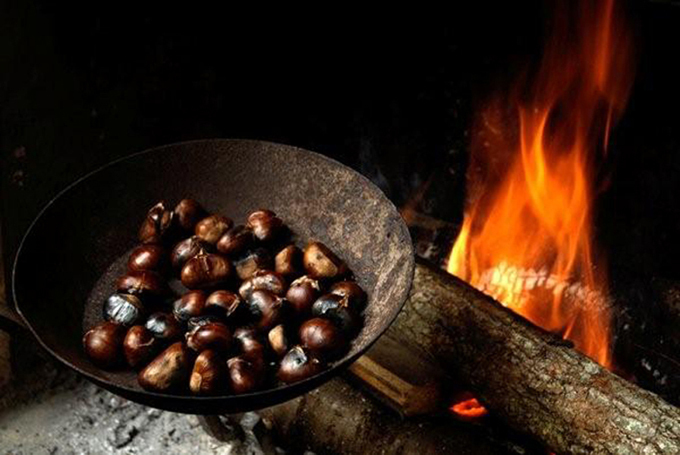 Chestnuts roasted on an open fire… fantastic by the way. 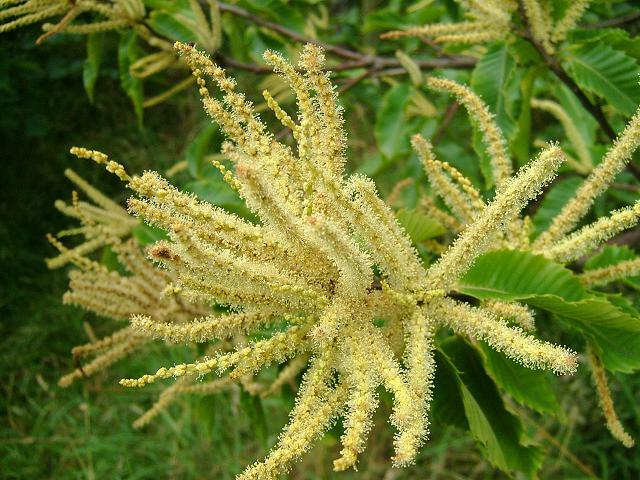 There are a large number of trees and shrubs named Chestnut or Chinquapin/Chinkapin around the world. The Horse Chestnuts consist of numerous trees in the Aesculus genus which in general are inedible or very poisonous, and they are not related to true Chestnuts. Water Chestnuts, common in Asian cuisine, are aquatic vegetables. The corm (a swollen, underground stem) is what is edible and slightly resembles the nut, but is not related to true Chestnuts. There are a large number of evergreen tree species (Castanopsis genus) found in Asia known as Chinquapins, which are closely related to Chestnuts (Castanea genus). 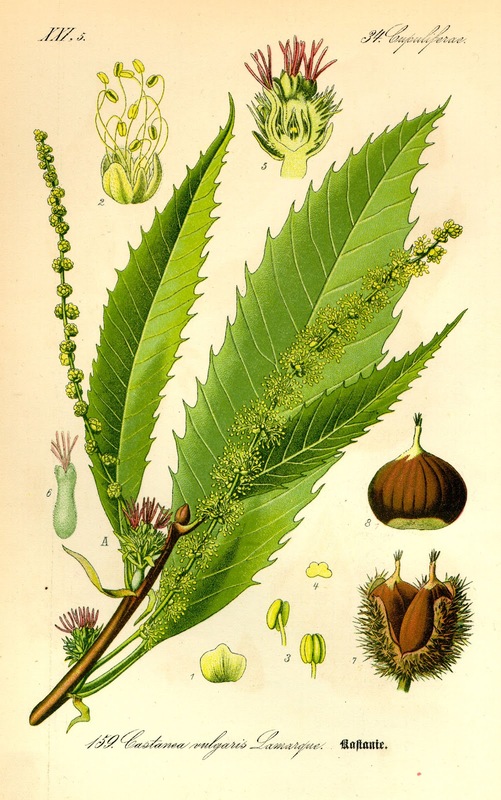 There are two species of evergreen “Chinquapin” species (Chrysolepis genus) found in western North America, and they are also closely related to Chestnuts (Castanea genus). The American Chestnut (Castanea dentata) is very highly susceptible to Chestnut Blight, the American Chinquapin (Castanea pumila) is very susceptible, the Sweet/Spanish/European Chestnut (Castanea sativa) is moderately susceptible but is not typically killed, and the Asian Chestnuts are minimally affected if at all. The nut needs to be separated from the burr before use. Nuts, cooked – even the astringent nuts will become delicious when cooked or roasted or baked. Potato substitute. Coppice plant – used for poles, posts, stakes, tools, firewood, charcoal, etc. Coppiced every 10-20 years. Coppiced trees will not produce nuts for a few years. Yield: 20-40 lbs (9-18 kg), but varies greatly between species, cultivar, and age of the plant. 1,000-4,000 lbs (450-1800 kg) per acre (4,000 square meters) are common in commercial orchards. Harvesting: Autumn (September – November). Harvest fallen nuts with open burrs. Some growers will lay nets under the trees to make harvest easier. Remove the nuts from the burrs (with thick gloves). Inspect the nuts for damage, worm holes, squirrel nibbles, rot, or any other damage. Processing: The outer shell and inner skin must be removed from the nut before using. This can be done with the raw nut, after boiling in water for 30 minutes and scooped out with a spoon, or after roasting over an open fire, in the oven, or even in the microwave. (NOTE: if roasting/microwaving, pierce the skin at least once to let the moist heat escape as the nut cooks, or the nut may explode!) There are also specialized chestnut peelers that speed the process. Storage: Use immediately or store in refrigerator for up to a month. Stores in freezer for up to a year if airtight. Cultivars/Varieties: Many species and varieties available. There are also a large number of hybrids/crosses between species available that produce large, flavorful nuts. Hybrids typically are much smaller than wild specimens. Pollination: Requires cross-pollination from at least one other variety/cultivar, and both will typically produce a nut crop. Some varieties/cultivars/hybrids are better for nut production, and others are better for pollination. Years to Begin Bearing: Up to 20 years for a tree planted from seed. Grafted trees typically start production in 5 years. Chestnuts are harvested in Autumn. 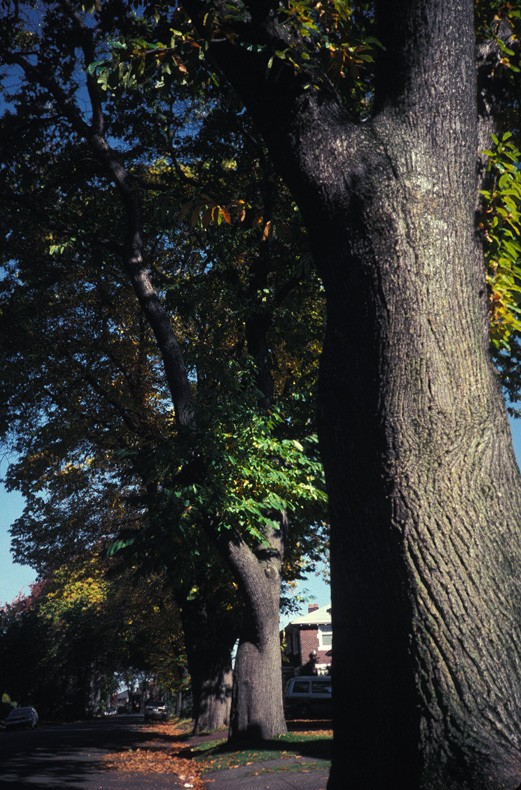 Roots: Trees often have a central taproot, and shrubs often have a fibrous or suckering root structure. I have come across conflicting reports about Chestnut’s tolerance of juglone. Juglone is a natural plant growth inhibitor produced by Black Walnut and its relatives. If a plant tolerates juglone, than you can consider using that plant as a buffer between your walnuts and other plantings. Chestnuts seem to prefer locations that have warm to hot summers for best nut production. Chestnut leaves take longer to decompose than many other species. Propagation: By seed – seed does not last long if it is to remain viable, but can be kept viable for a few months if kept cool and moist… like in an unheated basement or refrigerator drawer. Best sown immediately after harvest in Autmn. Grafted cultivars are also commonly available. Maintenance: Almost none. More pruning will be needed if coppicing.